1 Bdrm 1st flr Flat. Hall. Lounge. Kitch. Bdrm. Shower rm (CT band - A). Garden. Price over £79,995 Entry by arr. Viewing contact solicitors. Below Home Report Valuation (EPC band - E). 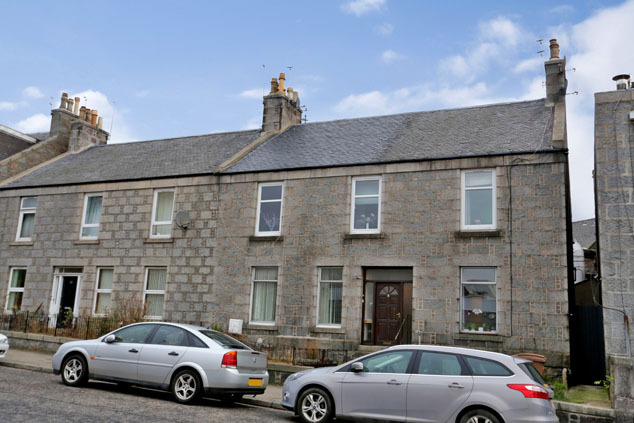 Situated in a most convenient location within walking distance of the Aberdeen University, city centre and with large retail parks close by, we are delighted to offer for sale this one bedroomed first floor flat which forms part of a traditional granite tenement. Internally, the property is in excellent order with neutral tones throughout and co-ordinating flooring, the accommodation comprises a welcoming entrance hall which leads through to a wonderfully bright and generous lounge with space for a dining table and continues onto the fitted kitchen. 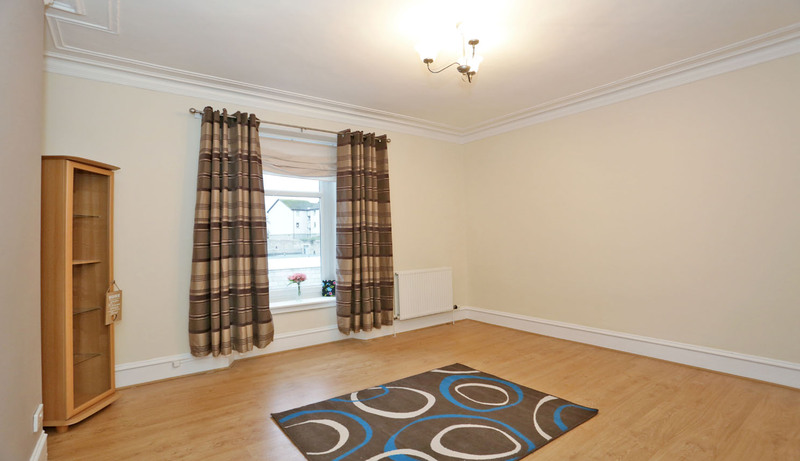 Overlooking the rear is the double bedroom and finally, a recently upgraded shower room completes the flat. Boasting the conveniences of gas central heating and double glazing, this appealing home is efficient and economical to run making it ideal for first time buyers and buy to let investors therefore early viewing is genuinely recommended to appreciate the excellent location and ready to move in accommodation on offer. Clifton Road is located to the north of the city and is particularly convenient for the office and industrial complexes situated at Bridge of Don and Dyce. Within the area there is a variety of amenities including local shops, primary and secondary schools. The city centre with its wealth of amenities is only a short distance away either by car or public transport. Communal Hall The communal hallways are naturally bright with a window to the rear. A staircase rises to the upper floor and there is access to the garden. Entrance Hall A natural wood door leads into the hallway which boasts simple neutral décor and practical laminate flooring. A cupboard provides storage with further small cupboard above and high level units conceal the service meters and fuse box. Lounge 13’10” x 12’2” [4.24m x 3.71m] approx. 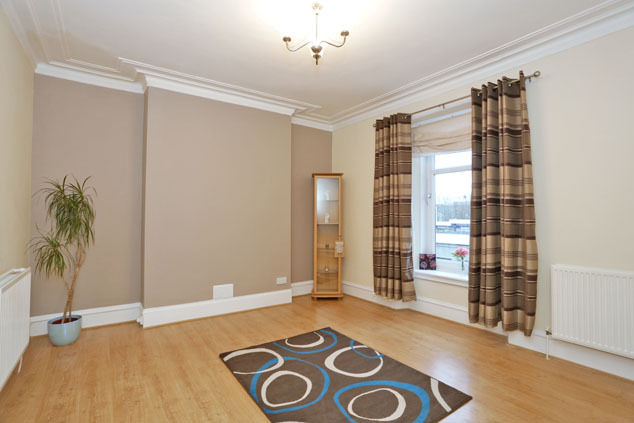 Overlooking the front is this naturally bright and well proportioned lounge which has complementing neutral tones with feature wall, decorative cornicing and laminate flooring. The good proportions allow ample space for furniture and a dining table if required. TV point. Telephone point. Kitchen 12’7” x 6’2” [3.85m x 1.88m] approx. To the rear, this modern kitchen has a good range of base and wall units incorporating glass fronted display cabinets edged with splashback panelling matching the work surface which has a stainless steel sink with mixer tap and drainer. 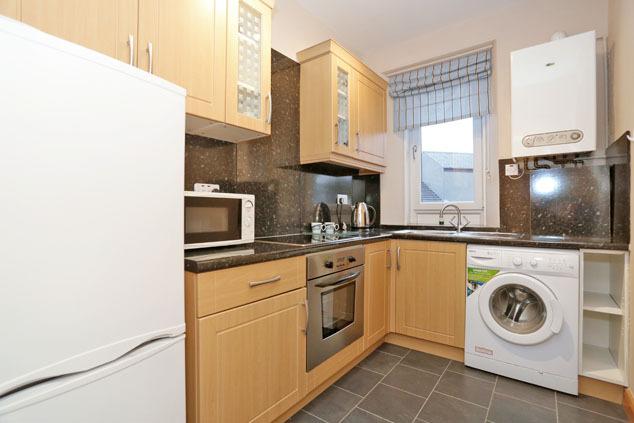 The integrated appliances include an electric hob and oven with grill, the free standing fridge/freezer and washing machine will remain. The boiler is also located here. Bedroom 10’5” x 10’0” [3.20m x 3.06m] approx. 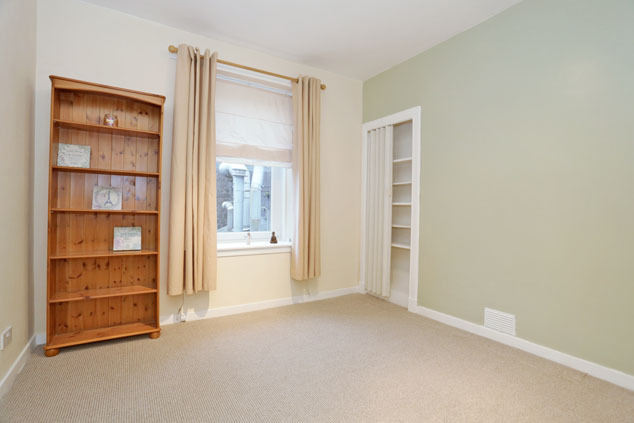 This generous double bedroom enjoys a peaceful rear aspect and is finished in soft neutral tones with a feature pale green wall and warm carpeting. The proportions allow space for required free standing furniture alongside the shelved alcove. TV point. Telephone point. Shower Room 6’9” x 5’7” [2.06m x 1.72m] approx. 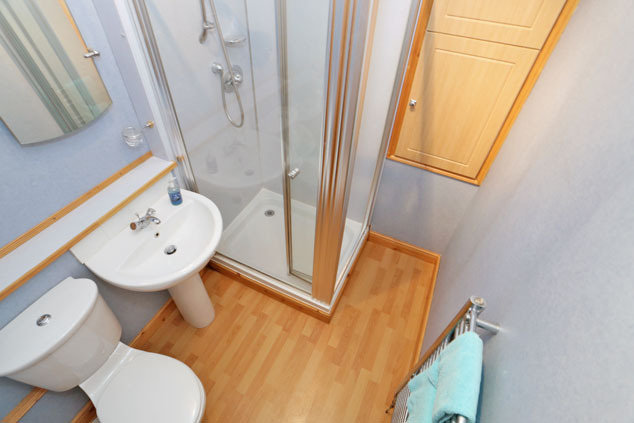 Centrally set, this recently upgraded shower room has a w.c., pedestal wash hand basin and large shower with mains pressure unit and bi-folding door. Finishing touches include aqua panelling, chrome heated towel rail and wall mounted mirror. A shelved cupboard provides storage. Extractor. Outside To the rear of the property there is a small low maintenance communal garden which is mostly laid with gravel chippings. Notes Gas central heating. Double glazing. EPC=E The subjects will be sold inclusive of all fitted floor coverings, light fittings, curtains and blinds along with all integrated appliances and free standing white goods.